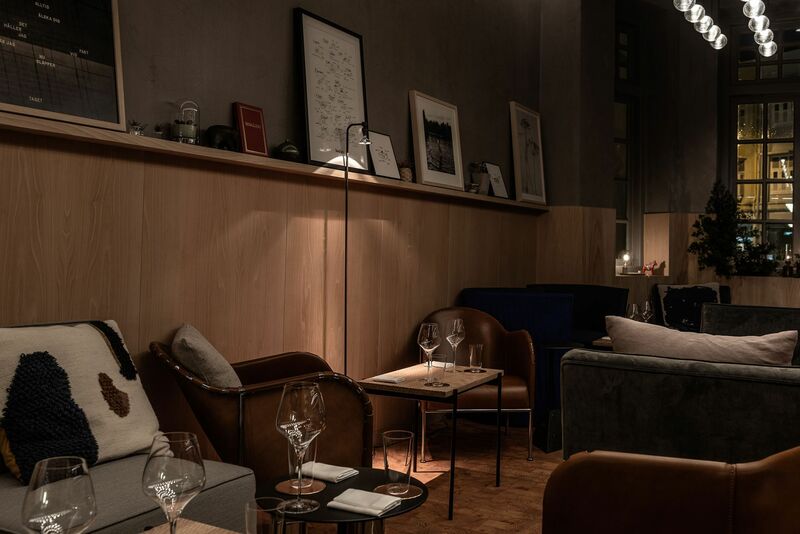 The Nordic-kaiseki fare of Swedish chef Björn Frantzén may be the main draw at his newly opened restaurant Zén, but its resident chefs would like you to know that it is about so much more. While it is inspired by and fashioned after its three-Michelin-starred mothership Frantzen in the Swedish capital, Zén promises a new type of dining experience to Singapore. It all goes back to the original Stockholm restaurant, which was just 90 sqm in area. “It was so small that the counter on which we were plating the food was also the dining table, so interacting with guests was necessary. Once we grew to a larger space, we took that element with us because the interaction became a highlight for our guests,” said Zén’s baby-faced sous chef Lars Brennwald, who has worked with Chef Frantzén for the last seven years. Similarly, at Zén—set in the Chinatown shophouse vacated by Restaurant Andre—chefs will double as service staff, finishing dishes tableside on custom-made wooden counters and engaging diners throughout the duration of their time in the restaurant. This approach is nerve-wrecking for some of the chefs who are more accustomed to working unseen in the kitchen, says Zén’s head chef Tristan Farmer. “But they are warming to it,” he assured us. And with the dining experience spread across three floors of the gorgeously appointment space, guests can expect to spend at least three hours on dinner at Zén. Once they enter on the ground floor, they’ll hang out by the kitchen counter as chefs show off the evening’s produce and serve a series of five petit snacks. The eight-course dinner is served on the second-floor dining room, clad in pale brushed wood and a copper-accented ceiling. Dessert, fruit, petits fours and aperitifs are taken on the sumptuous third level, lined with plush silvery-seafoam carpeting and dotted with low-slung sofas and armchairs. Frantzen continues to be based in Stockholm and will visit his Singapore outpost as and when he is needed. “There is no set schedule for when I will be here. I love Asia and I love Singapore. Perhaps to get away from the cold, I will come here more often,” he said with a laugh.